Things were looking bright for BAFFERT when he won his third Singapore start this month last year, and this was followed by three consecutive second-place finishes in Class 3. But the Australian gelding failed to show up in four starts in the second half of 2018. BAFFERT's returned to form began with winning a trial on new year's eve and he has carried on from that effort to win a Kranji Stakes C event over 1200m at Kranji here today. Michael Rodd, who rode him to victory last year, was back in the saddle and they won comfortably two lengths after being well up with the pace. BAFFERT ran fourth in his only start at two and had a win and three placings (including two at Moonee Valley) in seven runs at three in Australia before coming up here. 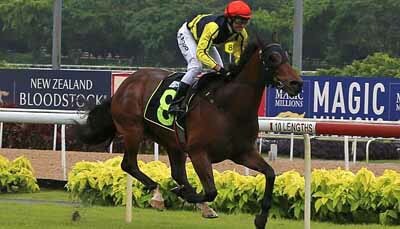 He has now two wins in 12 starts in Singapore.